What do bugs do when you’re not looking? 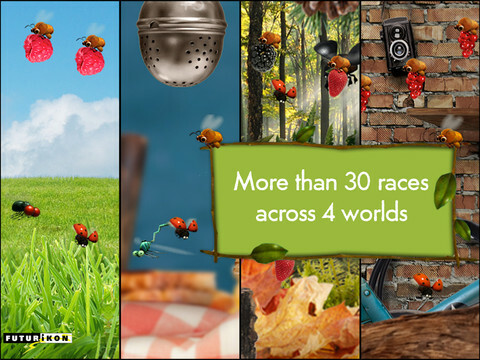 Download Minuscule: The Private Life of Insects! Each world offers 8 races with new powers and insects to earn. Zip through busy worlds filled with Bees, Grasshoppers, Butterflies, Dragonflies and Spiders – and learn fun facts about each of the 19 insects you meet. Mini games in between each race allow you to earn more coins and purchase new abilities and power-ups. Test the limit of your tiny wings in the Endurance Mode to ‘fly ‘till you flop’ and see how far you can go.